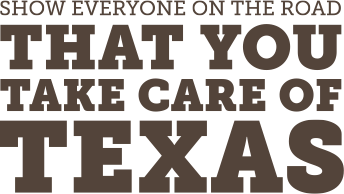 Many Texas students worked hard to create their videos for the Take Care of Texas Video Contest and we’re excited to present the finalists. Now it's time for you to pick your favorites. Please support these hard working young people by casting your ballot. Pick one video from each age group, 6th - 8th and 9th - 12th grades. Once you’ve voted, help spread the word and get others to join in the fun! Each person can vote once and should pick one video for grades 6-8 and one for grades 9-12. Once you’ve cast your ballot, help spread the word and get others to participate. Voting runs through Jan. 24. The top three videos in each age group will go to the final round where they will be awarded 1st, 2nd, or 3rd place. High school students will win scholarships and middle school students will win GoPro camera packages. The prizes are generously donated by Waste Management of Texas, Inc.